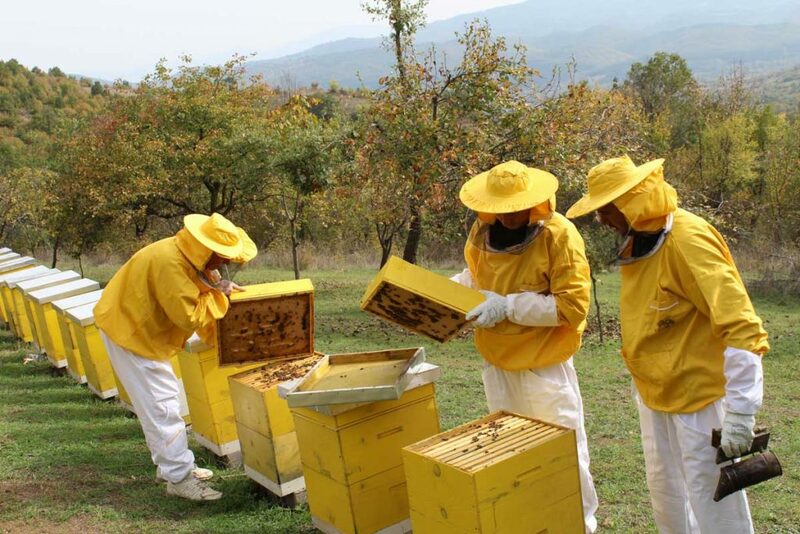 APICENTAR Dr. Petrovski is a registered institution in the Republic of Macedonia that operates in the field of selection and production of bee genetic material of Macedonian honeybee APIS MELLIFERA MACEDONICA. This sub specie (race) of honey bees is bred exclusively in APICENTAR where the genetic background is strictly controlled by DNA analysis. The reprocenter was registered in 2003 under the Law on livestock breeding and recorded in the book of genetic material breeders in the area of stockbreeding at the Ministry of Agriculture, Forestry and Water Management of the Republic of Macedonia. 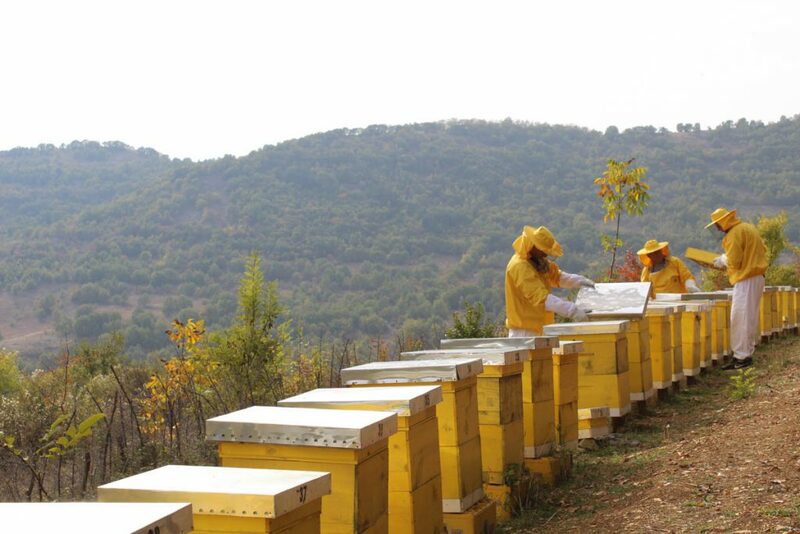 Apicentar is in possession of over 600 bee families, placed on 12 locations in the eastern part of Macedonia, near Osogovo Mountains. Besides the production of selected genetic material, it produces bee products as well: honey, royal jelly, propolis, mixes and other products. 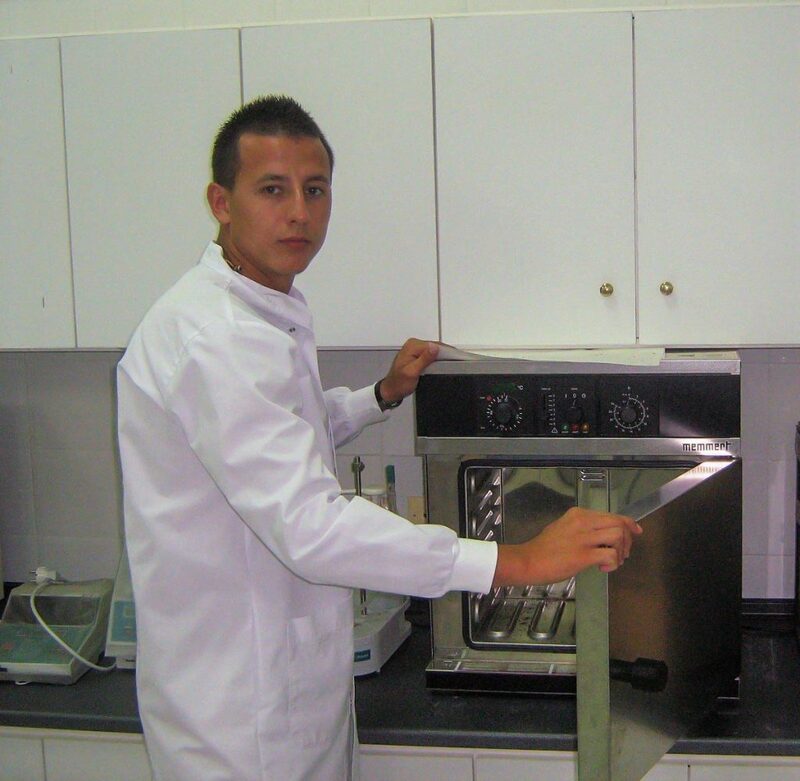 The reprocenter was established in 2002 by Prof. Dr. Aleksandar Uzunov – (Department of Animal Husbandry, Beekeeping) – Faculty of Agricultural Sciences and Food-Skopje-Macedonia, and later they are taken by Dr. Angel Petrovski – graduated from the faculty of veterinary medicine-Stara Zagora-Bulgaria, and dr. Ilija Petrovski – graduated from the Faculty of Veterinary Medicine-Skopje-Macedonia. 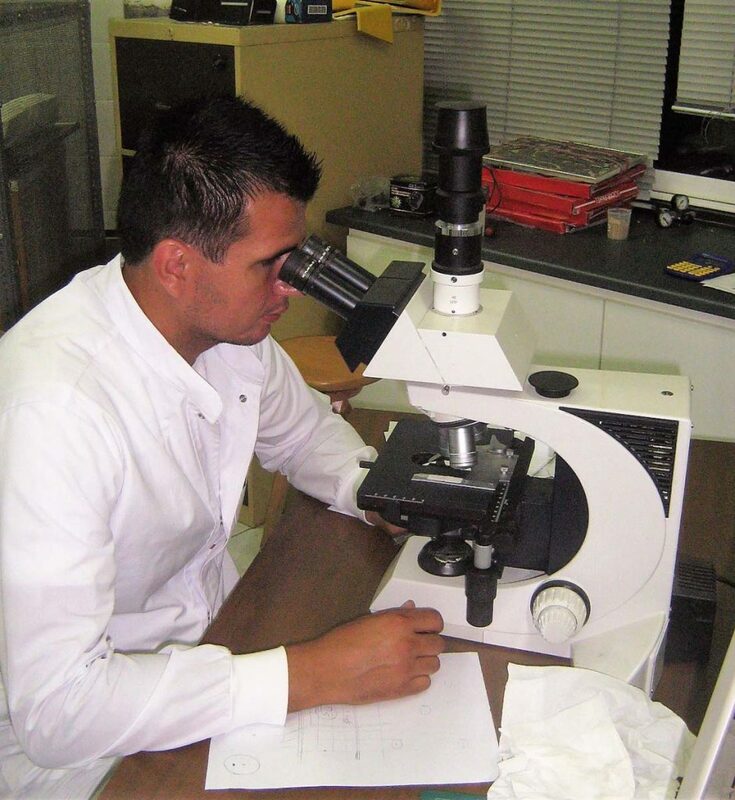 APICENTAR Dr. Petrovski has its own veterinary clinic specialized in examination, diagnostics and treatment of bee diseases (Varroa destructor, Nosema apis et Nosema ceranae). The selection is performed under the latest BEEBOOK European standard methods of 120 bee families, placed on 2 locations (Peshnik and Drachevica), consisting of 4 different types of Apis mellifera macedonica. Measuring is performed three times a year in respect of 4 parameters: defensiveness, productivity, resistance to diseases and swarming moods. Only queen bees with the largest selection index enter further selection. The best 4 types are determined according to the results of the genetic material taken for production of our queen bees. The queens produced in our breeding center mate in controlled environment (70% – 95%) with selected drone families of 3 different mating stations: mating station Legovec (490 m), mating station Plavica (950 m) and mating station Lukovo (1150 m ). Additionally, the center conducts good beekeeping practices that ensure the highest level of hygiene in the production of queen bees and nuclei. 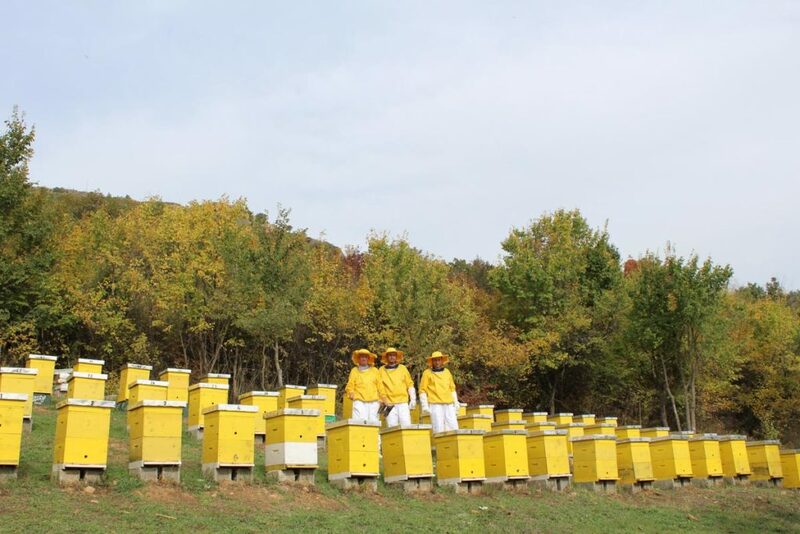 The movement of other beekeepers (guests in the center) in the center is strictly controlled and working with bee families is limited to staff only. The entire selection protocol is managed and queen bees breeding value is calculated by a specially designed computer program. The records provide information about the origin of the queens and drones, 6 generations back. Pedigree information is confirmed by morphometric analysis and supercontrol through DNA. Apart from these controls, anatomical dissection is performed to a number of queen bees to determine sperm quantity in the ovaries, mating quality and measure the queen bee. Bee families presenting incredible results are used for selection of queens. The ultimate goal of our breeding program is to produce bees that are resistant to diseases and viruses (healthy bees = live bees) and simultaneously selects productivity, temperament and low level of swarming. Our goal is not to offer a product without identity, but highly productive queen bees and nuclei that will be healthy. We hope that new beekeepers and those with years of experience will enjoy the benefits of these highly productive queen bees with excellent characteristics. Until 2016 we have exported queen bees in several countries: America, Denmark, Russia, Italy, Germany, England, France, Poland, Switzerland, Canada, Serbia, Bulgaria, Albania and others.